So, it’s been quite a while since the last meeting summary. My apologies. You see, I came down with a nasty computer virus and just couldn’t type any of these up. Hopefully they will be more regular for the rest of the semester! Last meeting, we had a grand game of Anime Bingo, brought by member Chelsea Lawrence! 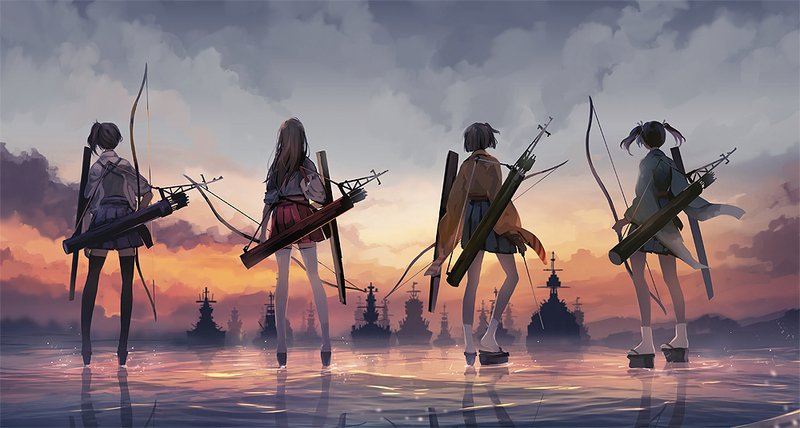 For member’s choice, we watched Kantai Collection, which to me–although I wasn’t there for it–looks both very interesting and very questionable. After a short break, we watched episodes 5 and 6 of One Punch Man, in which we question whether Saitama really isn’t a monster, and Episode 3 of Katanagatari. Last Thursday, we hosted an unofficial gathering to celebrate the start of the semester. There was quite a large turnout with many familiar faces!